7:30 PM: I stand in front of the mirror prepping my face for the night. 8:30 PM: So I proceed. I lie to my mom and then sneak away to a small party. 9:00 PM: The alcohol arrives and we begin indulging. 3:00 AM: The police arrive and we begin hiding. 3:30 AM: Dreaded phone call to mom occurs. 4:00 AM: A shameful walk past my little sister on my way to bed. 9:00 AM: Mom takes me out to breakfast. And she’s loving and calm?!?! My mom cared more about my heart than my behavior. My mom didn’t link my sin to her value as a mother. My mom reminded me that I was more than my decision the night before. Today, I can see that in my sin that night, God pursued me through my mom’s grace. Let us be that grace for others today. Let us give the grace that doesn’t make sense. PS – A hug sent to the mamas out there giving grace that’s hard to give everyday. Such an insightful message to both the kids and the mommas. That the kids will notice and be changed by it, and the mommas will keep on keeping on because it is, in the big picture, the right thing to do. Always. 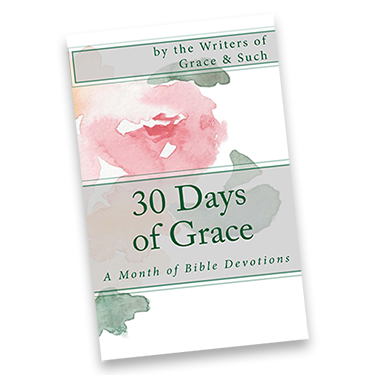 Thanks, April, for sharing what grace looks like in a real way. Diane, thank you. My hope was to inspire some mommas! Appreciate your comment! Had those moments with my kids, thankful for God’s grace and strength that helped me in those moments. Thanks so much for sharing your story. It will help so many. Sis, thanks for your comment! It definitely is God’s grace and strength, right?! Thankful for your comment! I enjoyed this post from both sides of the spectrum – thankful my mom was gracious with me (way more than she should have been) and hoping I was gracious enough with my own kids. Yes. To all of this. Though I have a great relationship w/my son (19) & daughter (17), this reminds me to remember that we all will & do make mistakes, & the matters of the heart far supersede the need to be right. Gretchen, thank you and for sure! Definitely changes the way we do relationships. Thanks again for your comment!